When I started my family, I found it difficult to balance my career, home, and health. My family and career took precedence, and I put my own needs on the backburner. I didn't realize how much my lack of exercise and poo-poo diet affected my ability to perform well at work or enjoy my family. It's difficult to set aside time for yourself when you are meeting the needs of your family and the demands your job. But eating well and exercising will benefit everyone around you. As a mother of two active kids, a small business owner, and a graduate student, I know how hard it is to fit everything onto your plate. That's why I have spent the last few years of my life helping mothers find balance, fitness, and better mental health. 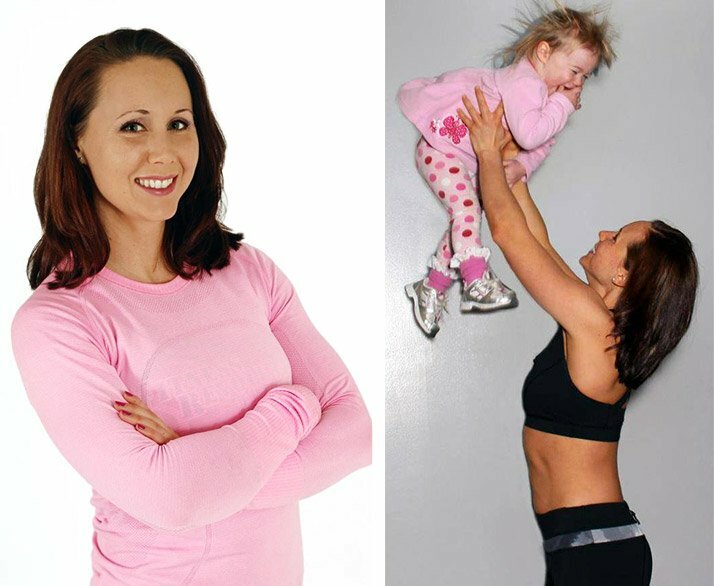 To celebrate Mother's Day, I've contacted some of the fittest moms I know and asked them for their best fit-mom tips. Boy, did they deliver! Here are their hints and strategies to help you stay active and eat well while managing your busy life. One of the largest hurdles busy moms have to jump is finding the time to exercise. "I always say that when you have kids, you have to rethink what your workout looks like," advises Erin Whitehead of Fit Bottomed Mamas. Though many moms would like to continue their hour-long workouts at the local gym, having kids can make that option unfeasible. That's when creativity comes into play. "Before kids, your workout may have been an hour at the gym. But with naptime, playtime, and mealtime, your fitness may change to 10-minute workouts here and there, long walks with the kiddos, or stroller runs to the park," says Whitehead. 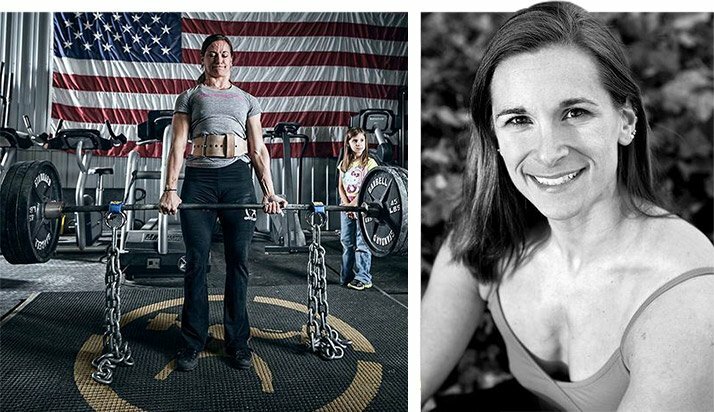 Erin Whitehead: "I always say that when you have kids, you have to rethink what your workout looks like." If you can't fit time at the gym, set aside 10-15 minutes in your day to do something active. Do a quick circuit from your favorite YouTube channel, a shortened workout from a DVD, or jump rope intervals. Squeezing in five or six 10-minute sessions per week is just as effective as getting to the gym for an hour once each week—and it's more likely to happen. Just like you schedule meetings and soccer practice, it's also important to pencil in your workouts. "I literally have to schedule training on my calendar. Otherwise it will inevitably get pushed aside," admits Jennifer Blake, an avid powerlifter and strength coach at Movement Minneapolis. "For me, balancing work and kids isn't very difficult. It's balancing work and workouts where things get hairy. Between clients, helping develop and grow our gym membership, and growing my own training business, the day can slip by very quickly before I even think about hitting the gym for my own workout." Jennifer Blake: "I find three lifting sessions and two conditioning sessions works well for me and my goals." If you feel stressed about the lack of time in your schedule, add exercise to your calendar. Ensuring that a workout is part of your daily routine will help to create balance. That short 15-minute workout you penciled into your Monday will give you energy and help relieve stress so you can take on whatever challenges the world presents you. If you can fit in a longer session, consider it a bonus! Blake advises taking time on Sundays to plot out your workouts so they fit into your weekly schedule. Find a plan that works best for your schedule. Don't base that plan on what you think you need to accomplish, but what you can actually accomplish in a given week. "I find three lifting sessions and two conditioning sessions works well for me and my goals," says Blake. "Weekends are where we fit in fun with the whole family. It's a happy and busy balancing act that works well for us all." Eating well poses another challenge when you have a busy schedule and picky eaters to feed at home. 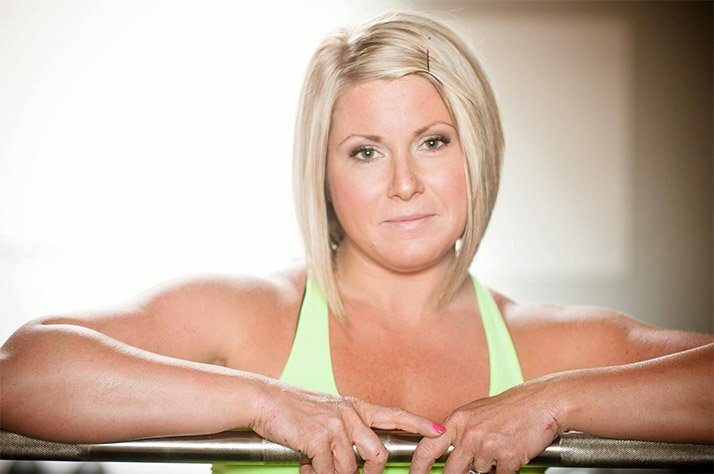 Cassandra Forsythe, PhD, RD, one of the authors of New Rules of Lifting for Women and owner of Fitness Revolution in Vernon, Connecticut, warns moms not to "just eat what the kids eat, like chicken nuggets, goldfish crackers, fruit gummies, because it's convenient." Picking off your kids' plates is a great way to pack in those sneaky calories without holding yourself accountable for what you eat. Forsythe suggests cooking what you want to eat rather than just what your kids want to eat. Kids who are exposed to a variety of healthy choices from a young age will adjust better when you introduce new foods to their diets. Cassandra Forsythe: "You can incorporate fruits and veggies onto each plate by always having ready-to-go items on hand." If you haven't yet introduced your kids to healthy foods, don't fret. "You can incorporate fruits and veggies onto each plate by always having ready-to-go items on hand," recommends Whitehead. "I'm a big fan of taco salad because it has both veggies and things kids love like cheese and salsa." Keep easy choices like sliced bell peppers, radishes, salads, and cherry tomatoes on hand. That way, you don't have the excuse of "no time to cook something healthy." Cook large batches of healthy food on the weekend so it's ready for you during the week. Make large enough meals for healthy leftovers at lunch the next day. Although your workout can be a great way to decompress and get in your own zone, exercise is also a great way to enjoy time with your family. "Exercising allows us to do things together. In this day and age with so much social media and technology, it's easy to get pulled apart. Fitness allows us to unplug and actually spend time together: talking to each other, asking about our days, and really getting to know each other," says Julia Ladewski, strength coach and athlete. Join your kids on the slide, start a round of bump on the basketball court, or set off for a bike ride and watch your family's smiles grow. When you toss a Frisbee or play a game of tag, you not only get your heart rate up, but also create lasting memories for your kids. Julia Ladewski: "Being active as a family allows us to educate our kids about health, nutrition, and fitness." "The things I remember dearly as a kid were the activities we did as a family. We want to give that to our kids as well," says Ladewski. "Being active as a family also allows us to educate our kids about health, nutrition, and fitness. They get excited about eating healthy foods and being strong and fit." Playtime with your kids provides an opportunity for you to clear your head and live in the moment. When you stop thinking about which bills need to be paid, which uniforms need to be ironed, or when your next oil change is scheduled, magical things happen. Suzanne Digre, owner of Workout Nirvana in Denver, says that "hiking and biking have been a part of our lives since our daughter was a baby. She knows it's part of our weekends." Suzanne Digre: "Hiking and biking have been a part of our lives since our daughter was a baby. She knows it's part of our weekends." Ever hear the expression: "If mama ain't happy, then no one is happy?" A healthy mom is a happy mom, which creates a blissful environment for a family. When you enjoy what you do, your kids soak up that passion. Getting involved in fitness and smart eating teaches your kids to prioritize their health. It's better to lead by example than to constantly lecture them about positive choices. "While I make it a point to lead by example, I don't try to push it with my kids. Fitness is my life's passion, not theirs—not yet anyway," Blake says. Blake suggests creating a balance between leading a healthy lifestyle and indulging on treats. "I don't want my daughter—who is now nine and starting to become very aware of the inescapable societal and pre-teen peer pressure—to give even a second thought to her diet or calorie consumption." Cook meals together, plan weekend activities, and take up active hobbies together. When you're playing together, let them try things like swinging a bat or doing a push-up first before you step in and take the lead. The more you make fitness about togetherness, the more they will learn how to take charge of their own health by having you as a role model. "It's important for my daughter to see that I don't compromise when it comes to my health," notes Digre. "She also sees that it's OK to take care of herself without guilt, rationalization, or apologies."